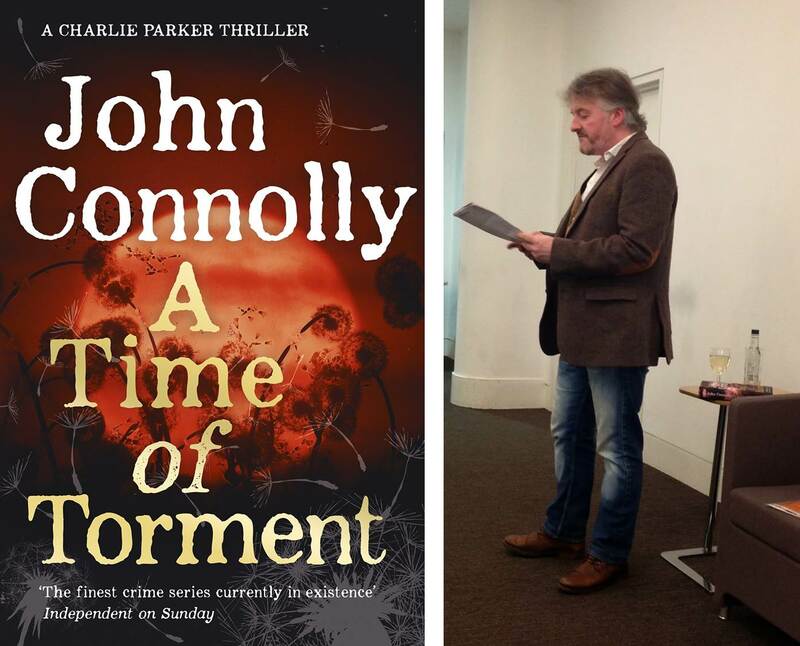 Shots Editorial Team have been long time readers of Irish Writer John Connolly, so we were interested in the thoughts of his latest Charlie Parker thriller, A Time of Torment from our reviewer John Parker; who described it in closing as “an absolute must read”. 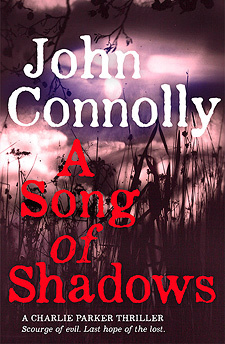 Read the Shots review here and the precursor A Song of Shadows here which is out in paperback currently. 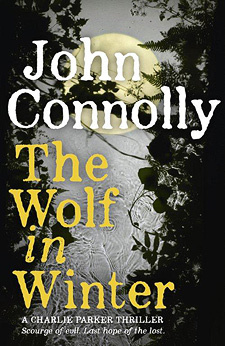 Due to John Parker’s enthusiasm for Connolly’s 14th Charlie Parker thriller, he had some burning questions, related to A Time of Torment, so John Connolly kindly obliged providing additional insights which we are sharing with our readers. Is the name of Roger Ormsby, the Gray Man a reference to Thayne Ormsby who murdered three people in Maine back in 2012? JP What gave you the idea for the community of The Cut? JC My British editor, when she received the book, commented that it seemed to be part of my ongoing fascination with reclusive groups, which is probably true. There is a strong strand in American political and social thought relating to looking after one’s own, carrying your own bucket, and accepting no obligation to society beyond one’s own immediate dependents, or those who are most like oneself, which is kind of anathema to me. Once we accept the right of individuals or groups to secede from society, it begins to collapse, but it’s also poisonous for those who have stepped away. I suppose I’m interested in exploring the resulting dynamics. JP In the past, you spoke of the difference between “evil” and “need and greed” in relation to Morland in The Wolf in Winter. Does this apply to the inhabitants of The Cut which seems to be full of the most evil people imaginable? JC: Hmmm. You see, I don’t think of them as evil, just as The Cut doesn’t think of itself as evil. Even with the worst of the characters in my books, I try to find the point at which they can justify what they do to themselves. As someone once said, everybody has his reasons. Mostly, The Cut just wants to be left alone, but it’s been isolated for so long that it no longer even sees – or wants to accept - the extent of its own corruption. Well, Oberon – its leader - does, to some degree. There’s a moment in the book, when he has the chance to flee and leave the Cut to his fate, where I want the reader almost to empathize with him. Oberon is beyond salvation, but in that moment there is something noble about him, and a glimpse of what he could have been under different circumstances. What makes him interesting isn’t his corruption, but what has been corrupted. JP It was great that you brought back Alvin Martin for this novel. Do you intend to bring him back again or any other “lost” character you have created? JC For a long time, I’ve been constructing the Parker novels as individual parts of a larger narrative, so characters who feature – sometimes only briefly – in earlier books will have their part to play as the sequence continues. That’s part of the pleasure for me in writing the Parker novels: the chance to create something bigger than a series of discrete books connected only by the presence of two or three major characters. It’s one of the reasons for the change in the narrative voice in recent books, where Parker becomes less of the focus – because they’re no longer first person narratives – and instead is more first among equals, or near equals. JP It seems that Professor Ian Williamson is destined to meet up with Charlie sometime in the future. How soon? JC Oh, I can’t say. There’s a game being played with the readers, and I think – I hope – they’re enjoying it. JP There is a whole chapter dedicated to Jennifer Parker in the novel, while later on in the book, Samantha demonstrates some rather unique powers. What role are the two daughters of Charlie likely to play in the near-future? JC Again, I can’t really say, other than that I’ve spent a long time getting the books to this point. JP Children play an important role in the novel. In the previous novel, A Song of Shadows, a character says, “We’re only put here to watch over the children until they’re ready to take care of themselves.” Does this have implications for the future of Charlie and Samantha? JC Crikey, there’s three in a row that I can’t really answer. What’s been lovely about the response of readers (most of them) to the books is not that just that they want to spend time with Parker – character being the principal reason why we read mystery novels, I think, particularly series novels – but they want to find out what happens next. That’s not really usual in mystery fiction. It’s more typical of ongoing sagas in fantasy literature or science fiction. JP Religion, pagan or Christian, plays a big part in your books. Do you think that God, The God of Wasps, The Green Man and the like are all part of the same thing or separate entities? JC The supernatural/ metaphysical/ mythological elements to the books allow me to explore that question, I suppose. The books suggest that those entities inhabit the same space, but are not necessarily the same being. The Dead King in A Time of Torment has no connection to whatever lay beneath the church in Prosperous at the heart of The Wolf in Winter. Then there are others that are clearly linked, and form part of that larger narrative in the books. Ultimately, though, the novels suggest that evil tends towards isolation. Goodness is collaborative. JP I think there are nods to the Tooth Fairy from Thomas Harris’s “Manhunter” and to the Yellow King in Nic Pizzolatto’s “True Detective.” Is this so or is it just my imagination? JP How far have you planned out Charlie’s future? The desire to know what happens next is strong in your fans. When is the next book out and can you give us any clues? JC Well, I still enjoy writing the books, and I hope to continue doing so for a while yet, but there is a narrative strand that will have to be brought to a conclusion at some point. The next book will, with luck, be out in April 2017. I’m working on it at the moment, and it has a title. It’ll be called A Game of Ghosts, and it’s about as weird a book as I’ve written. Sometimes it seems to me that, with each book, the readers are prepared to step a little further into the world of the series, and as a consequence the stories can grow stranger still. JC Thanks for the interest. I just feel bad that I couldn’t answer all of the questions. Well, I could have, but then I’d have been forced to kill you. SHOTS wish to thank reviewer John Parker, Kerry Hood of Hodder and Stoughton and John Connolly for their time in sorting this interview. Reviewer John Parker is a graduate qualified English/Spanish Teacher, owner and director of CHAT ENGLISH, an English Language Centre in Avilés on the north coast of Spain . A voracious reader, he has particularly loved horror fiction for many years.